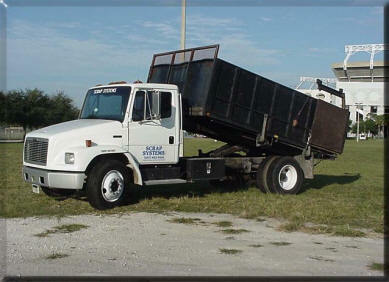 Dumptruck - Scrap Systems, Inc. Scrap Systems Inc. Dump Truck systems are ideal for metal manufacturing, demolition/construction debris, special clean-ups, Inventory Closeouts and other special projects.